What about eggs high cholesterol levels? You love eggs but need to be on a healthy diet for high cholesterol? Well, you may want to eat MORE eggs. Yes, you read that right! Here's research about eggs high cholesterol that may make you want to re-think what you've heard about the underlying causes of high cholesterol. You may even be able to avoid cholesterol medications -- statins (Lipitor, Crestor) and the serious statins side effects. Most naturopathic doctors put very few patients on high cholesterol medication – only in extreme cases, and only for short periods of time. 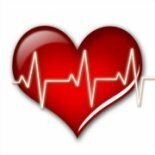 Instead, they help people find statin alternatives and a healthy diet for high cholesterol. Eggs contain nutrients to help the liver make lecithin, which in fact helps prevent cholesterol oxidation, and keep it from doing any harm! Oxidation is when things become rancid. Fats tend to be harmful in the body only when they are "oxidized" or rancid. Are there high cholesterol benefits? Regardless of the high cholesterol advice you may have gotten, know that our bodies need cholesterol. Why? Cholesterol is important for BRAIN development in infants and plays a role in how NEURONS work in adults. Cholesterol is also needed for making HORMONES, and the CELL MEMBRANE. Best High Cholesterol Natural Treatments? Need extra help with your cholesterol levels? Why not try one of the BEST natural remedies for high cholesterol? Yes, you can reduce your RISK safely. 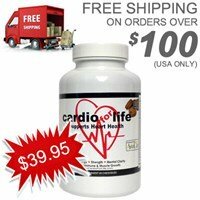 Enjoy the best protection with Dr. Harry's ENHANCED heart FORMULA. ...by helping to gently "melting away plaque" and supporting normal blood pressure. 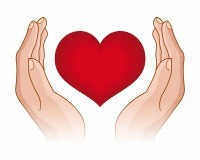 You may be surprised how quickly you can help your cholesterol levels! 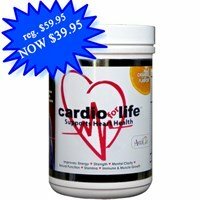 Get peace of mind, without the side effects of statin drugs. What about Eggs High Cholesterol and a Heart Attack or Stroke? “no evidence of an overall significant association between egg consumption and risk of coronary heart disease or stroke in either men or women" in individuals who reported eating one per day. They followed 127,000 people over 14 years! Researchers have reported for years that high cholesterol is just an innocent bystander of heart disease -- there are other causes of high cholesterol!. Instead, they are suggesting that controlling inflammation is the key to stopping vascular and heart disease. What are the underlying causes of high cholesterol? Inflammation is the underlying cause. Yolks are often recommended for babies, especially for their brain development. "I think that pregnant women should eat one or two eggs a day to deliver the right amount of choline during pregnancy." SENIORS, BETTER MEMORY AND EYES! 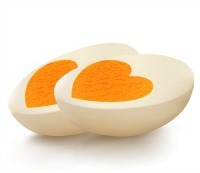 High cholesterol advice for seniors tends to restrict eggs high cholesterol. But this may not be the best against Macular Degeneration! Research has shown that yolks in particular are a good source of lutein and zeaxanthin because they provide an excellent lipid matrix, making the carotenoids more readily absorbed. Studies have shown that generous intakes of these carotenoids are associated with significant reduction in the risk of cataract (up to 20 percent) and age-related macular degeneration (up to 40 percent). LUTEIN & ZEAXANTHIN are better ABSORBED from your DIET than from taking pills and supplements. An important dietary source of choline, they contain a more highly bioavailable form than other food sources. Choline is recognized as a memory booster. Among the most complete foods, they are the highest dietary source of sulfur-based amino acids including taurine, methionine and CYSTEINE (cysteine intact only when raw), which are needed for the liver to regulate bile production for proper digestion. Taurine is used in Japan as a supplement to treat ischemic heart disease as well as certain heart arrhythmias. 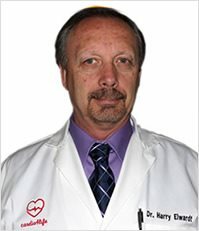 People who suffer from congestive heart failure are reported to have benefited from taurine therapy and taurine may also be helpful in the treatment of both hypertension and high cholesterol. You may need extra help from supplements if you are worried about a heart attack or stroke - or blood clots due to AFIB or heart irregularities. 1. Higher HDL cholesterol is associated with better cognitive function: the Maine-Syracuse study. J Int Neuropsychol Soc. 2014 Nov;20(10):961-70. doi: 10.1017/S1355617714000885. 2. The Journal of the American Medical Association 1999;281:1387-1394.